Do you have a marketing strategy that provides the confidence you need to make key decisions regarding this aspect of your business? Are you willing to consider each and every marketing method, even if it initially appears outdated? Most companies understand the importance of creating a detailed marketing plan. While some rely solely on the “latest and greatest” methods, such as social media marketing and content marketing, others have come to find that old school tactics can generate high-level results as well. It's statistics like these that point marketing professionals to tactics that are rooted online. While there is nothing wrong with a focus on modern marketing strategies, you don't want to overlook the many old-school tactics that are available to you. You never know when you'll find something that generates serious results. Yes, you read that right: direct mail may be just what your company needs in order to reach a larger audience and boost revenue. There are many ways to get involved with direct mail. For example, some companies send customized sales letters to their target audience. Others make life easier by using postcards to their advantage. In 2016 alone, more than 100 million United States adults made at least one catalog purchase. This goes a long way in showing that direct mail isn't dead. In fact, it's making a comeback. Go back in time 25 years or so and this was one of the best ways to get your information in front of your target audience. It's as simple as printing out flyers, finding a location with high foot traffic (such as a shopping mall), and passing the information along to anyone and everyone you can find. Yes, it costs money to print flyers. And yes, it takes some nerve to stand in a crowd of people to distribute your information. Even so, if you dedicate yourself to the process, it's a marketing tactic that can really pay off. From t-shirts to bags to a variety of gadgets, you can put your company's name, logo, and contact information on any item imaginable. People love to get stuff for free, so you might as well give this idea a second look. There are a number of online stores that sell promotional items, all of which are willing to work with you to make the most of your campaign. The only potential pitfall of this strategy is the fear of coming up short in regards to return on investment. Talk about thinking outside the box. If you've never given this old-school marketing method a try, now's the time to learn more. You can use custom flags in your area to promote your small business, such as by placing these in strategic locations. From the size to the color to the design, everything about these flags is customizable. Once you settle on what looks best, place an order and then place your flags. This is a great way to get people talking about your business. It doesn't matter if you're opening a new location or simply rolling out a new product or service, having some type of ceremony is a great way to get your target audience involved. If you're going to do this, spread the word well in advance. For example, send a press release to any journalists who may be interested in covering the event. While the large majority of people are using modern marketing methods, such as content marketing, there aren't nearly as many who are relying on traditional tactics. If you want to get a leg up on your competition, it's time to go old school! 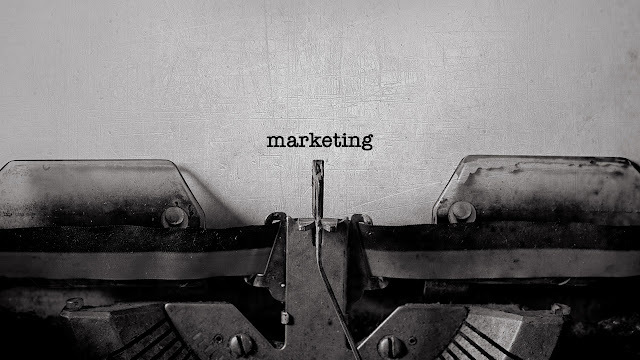 What are your thoughts on old-school marketing tactics? by George Beall - TNW.